This article originally appeared in Mangalore Today. It would be difficult to call some one your ideological father- but not if that person were Premanand , you a budding young rationalist and that is what I was when I first met him. While the last meeting with him is already documented in the write-up Premanand in Abirami Hospital, I would like to recount the first one. It was in 1980… or was it in 1981? Time dulls memories. It was a friend of mine, Shankar, a professional magician, who introduced us. 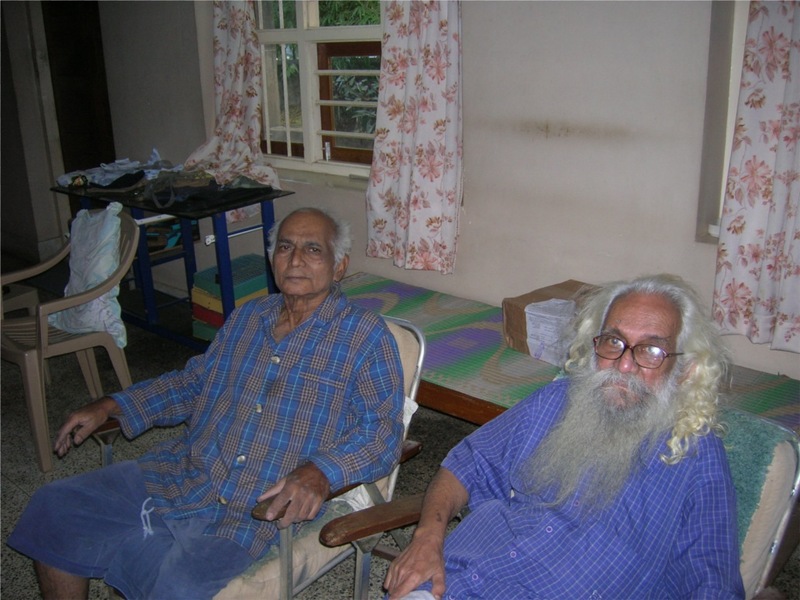 I was the secretary of Dakshina Kannada Rationalist Association, which had been started in 1976 and after the death of Kovoor we had no figure to look up to. When Shankar told me that he’d met two brothers Premanand and Dayanand who could a number of god-man tricks, we decided to invite them to Mangalore and Udupi for programs. The Udupi program was the first one on a Sunday and the Mangalore one would be day later. That was the first time I met Premanand who was doing a variety of god man tricks and also speaking about scientific temper. The Udupi program was a big fiasco. The moment , Premanand started his speech, a motley crowd of people with long caste marks on their heads and highly agitated rushed on to the stage and told him stop that nonsense. We have not come to listen to your rubbish. We have come to see magic. Shankar had cleverly advertised that the whole program would be a magic show conducted by his 4 year old son and a miracle exposure program. That the magic would be conducted by his son was a way of getting around his contract with the bank where he was employed as a professional magician and debarred from giving any other programs! Instead of defending Premanand, he was unceremoniously evicted from the stage and the magic show commenced. However, the reception was better in the Mangalore program, which was held on the next day. But, the programs had already raised the hackles of the orthodox reactionaries who used a newspaper which was the only one in that region in those days to start a campaign against us rationalists. They said rationalists are claiming that there are no miracles today and tomorrow they would say there was no god! For which I replied that why tomorrow we hold that opinion even now. That was followed by a virulent attacks and equally vehement replies by us. The things came to such a head that the magician and co beat a hasty retreat and issued public statements that they were only magicians and entertainers and had no ideological connections with rationalists. At that time I came to the conclusion that it at all any programs were to be conducted hence forth we shall do it ourselves and not in collaboration with people who do not have any ideological clarity. Later on this person proved himself to be without any ideology by giving programs in Puttaparthy and conducting what was called as spiritual magic for reactionary organizations like Brahma Kumari’s Ishwariya Vidyalaya etc. Anyway that was the beginning of a life-long relationship and an ideological bonding that would change the course of my whole life. After the magician collaboration fiasco, we decided to go ahead and have programs on our own with groups of known ideology. A couple of years later, we invited him again to our district this time arranging for programs from our own progressive minded groups. The programs were very successful. We would go from place to place, he would speak in English and I would translate into Kannada. He would then perform the trick and at the end of the session there would be questions from the audience. After a few of these he told me, Narendra any way you know what I am going to say so why don’t we save time by you saying it and then telling me in English what I should do and I will perform that. I said yes. Then things proceeded that way I would give a commentary in Kannada and at the end tell Premanand what he should to in English and he would go ahead. After some such, he told me you have learnt to say what should be said, why don’t also learn to do these things. That is how I learnt the things and after a watching me do a few of the so called miracles with commentary he told me hence forward you shall conduct these in your area and I will not be coming there for doing these things. If at all I come it will be to spend time with you. That is how he started me on a career of guru busting. 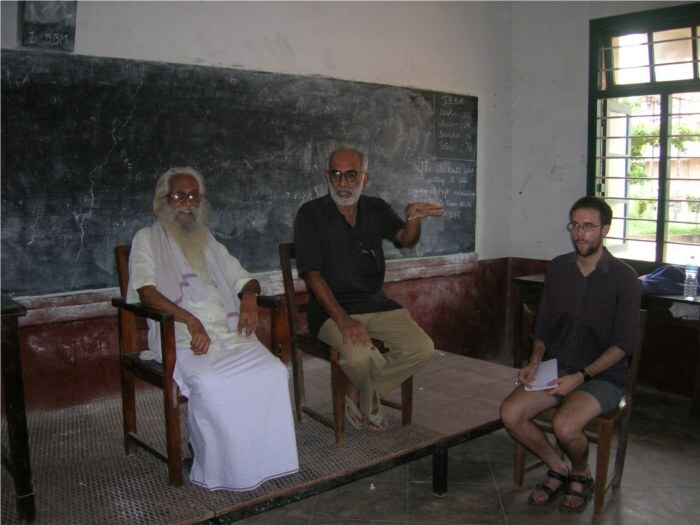 As days went by, he gradually asking people to invite me when he was called for programs his usual excuse was that he could speak only Malayalam and English while I could conduct programs in several languages. This building up saw me gradually taking over his travelling and training programs. He would be in Podanur looking after the Indian Skeptic while I would be going all over the place. Some times he would ask me to accompany him for some national level programs and we would be together for some days. Then he started plotting behind my back! He started telling people that I was better than him and could do better programs and training! When invitations started coming from international groups he would tell them that he was old and unable to travel and I should be invited instead. At a general body meeting of the Federation of Indian Rationalist Associations which he had founded and nourished, held at Bhatinda, Punjab in 2004 he put forward a proposal that I should be the President and before I had time to react, the proposal was unanimously accepted and I found myself as the head of this organization which had around 50 members at that time… and it continues as of today. His life was an example of simplicity and sacrifice. He had no income but what he got from the sale of his books. He would turn up at Mangalore unannounced and ask for loans- for his latest case against Sai Baba to be filed! The loan would be repaid with a load of books! So, I used to tell him that even if he were not to return the money it would be all right but not to come and dump books on me! That was the sort of easy relationship that we enjoyed. Not that he was perfect, but whatever minor faults that were his were drowned in the ocean of his plus points! He was a member of our family enjoying a wonderful relationship with all of my family- my parents, my brothers and sister. One nephew of mine was so influenced by him from his very child-hood that he is a rationalist having refused all religious ceremonies at a very young age. My wife was particularly devoted to him and he asked her to draft his will and become the executor of his estate. His last visit to Mangalore was a memorable one. At the end of July he came and told me that he wanted to meet some old friends of his. All he had was their names and their place of residence. No other details at all! When I asked him as to how I am to look for them he said he had full confidence in my abilities to search out people and we did that. He was very happy to visit them and told them that that would be last visit any where. It happened so. It was his last. After he went back to Podanur he never stepped out of that place. I was asked to come there for procedures connected with his will. My last visit there was on the 20th September during which his statement was made which is reproduced here. This shows the tenacity of this great man who stuck to his principles even on his death bed. Even if the seven seas were to be made into ink and all the trees cut to make a pen, the qualities of a Guru cannot be described. Premanand would get angry if one called him a guru and would say “I am not a Guru, but an anti Guru”. With due apologies to Kabir, I would like to make that Anti-Guru! The Lies Begin: How Sai Baba’s Goons Are Distorting the Intent Behind Premanand’s Deathbed Declaration. Premanand in Abhirami Hospital, Coimbatore.